As of today, I have officially finished my first semester of physics. That was a lot of material in five weeks, and I’m so relieved to be done. As part of my celebration, I have a special post for you today: a compilation of five scrumptious, high raw and vegan recipes for summer entertaining. 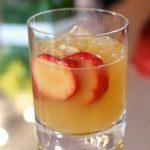 This is presented as part of Blogher’s summer entertaining series, which I highly recommend you check out! I’m so delighted to be a part of it, and to present you with raw appetizers that are simple, accessible, and sure to please. I hope these liven up your next barbeque or party! Of all the many joys of summer monthslonger afternoons, weekends spent with one’s toes in the sand, farmers’ markets bursting with ripe produceoutdoor entertaining is one of the sweetest. What’s better than the chance to celebrate balmy weather and one’s loved ones at once? Summer is the season in which friends most love to share fresh food. You may associate al fresco dining with grillingand all those burgers and steaksbut summertime is also a season when fresh, local produce shines. From juicy berries to tender, delicate greens, there’s no time like the present to explore dishes that are made entirely from vegetables, fruits, beans, grains, nuts, and seeds. When I tell people I love to prepare raw food dishes, the typical response is bewilderment and, “I could never do that!” While taking a full-time leap into vegan and raw food may not be for you right now, I promise you can, in fact, make delicious and inspiring raw and vegan foodwithout stress or hassle, and without investing in a ton of appliances. Raw food may sound exotic, but the truth is plenty of the dishes we already know and loveespecially in the summerare raw already! Gazpacho. Guacamole. Salads. Fresh fruits and smoothies. These foods are completely raw, yet we never think to give them a special classification. With that in mind, let me share five of my favorite recipes for summer entertaining. These will not only delight your guests’ palates, but they’ll leave you, your friends, and your family feeling healthy and refreshed! Best of all, you’ll find that they’re as easy as chopping, blending, and mixingperfect for steamy nights when you don’t want to turn on the oven! When I first became vegan, I worried that I’d miss good, old-fashioned tuna salad sandwiches. Little did I know there’s a quick, easy, and absolutely delicious raw, vegan version that’s every bit as satisfying. Enjoy this in lettuce cups or on cucumber rounds! Place sunflower seeds in a food processor fitted with the S blade and pulse till they’re well combined but not totally smooth. Add remaining ingredients and pulse again, till everything is broken down and uniform. Divide “tuna salad” evenly into the 12 butter lettuce cups. Serve! Gazpacho may be the quintessential summer appetizer. In this recipe, yellow tomatoes and a delicate avocado garnish add creativity and flair. When soup is this simple, what’s not to love? Blend the tomato, pepper, celery, cucumber, garlic, lime, olive oil, sea salt, and black pepper in a high speed blender till smooth. Mix the onion, cilantro, avocado, and cover them with a squeeze of lime juice. Pour soup into shooter glasses and garnish each with 2 tbsp of the avocado/onion mixture. I’ll admit it: I’m crazy about this recipe. For ages, I associated guacamole only with red onion and lime. Little did I know that avocado (which is technically a fruit) pairs beautifully with other fruits! You’ll be delighted with this creative spin on an old favorite, and your guests will, too. Open avocados and remove pits. Scoop into a large mixing bowl, and add lime juice, basil, and sea salt. Mash with a fork till mixture is mushy but still has texture. Add fruit and mix again. Serve with fresh fruit or crudites! We typically think of “succotash” as a warm, hearty fall dish. There’s no denying the appeal and beauty of traditional succotash, but I promise you this innovative, delicious raw interpretation will quickly become a summertime favorite! Mix all ingredients together. Allow to marinate a bit before serving. 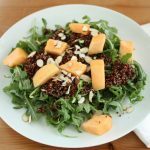 You can allow guests to eat this like a salad, or you can serve it in lettuce cups or romaine leaves! The first time I made these easy raw “sushi,” I was astonished at how tasty and satisfying they were. If you’ve never made a nut “cheese” before, this recipe is a wonderful place to start. Consider substituting the raw cheese for hummus, mayonnaise, or other traditional condiments. It’s remarkably tasty, and it goes beautifully with grilled eggplant in this outstanding appetizer. Coat eggplant with coconut oil spray and sprinkle with salt and pepper. Grill or roast (at 350) till tender. To make cashew cheese: 1. Place nuts in a food processor and process till ground well. Add salt, lemon juice, miso if using. Scrape sides of bowl and run processor again, this time drizzling some water in. Keep doing this until the cheese reaches the consistency you like. I aim for mine to look like ricotta. Add tomatoes and basil and pulse until they are well combined into the cheese. Spread a few tablespoons of cheese width-wise on the bottom 1/3 of each collard leaf half. Roll the leaf up from bottom to top, and slice into sushi-size pieces. Serve! Summer is the time to explore and appreciate the beauty of uncooked cuisine. Enjoy these recipes, and enjoy your special evenings! This post is part of the BlogHer Summer Entertaining series, which includes 100 percent editorial content presented by a participating sponsor. Our advertisers do not produce editorial content. This post is made possible by Home Depot and BlogHer. 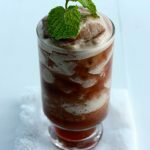 Are there traditional summer recipes that you make that are, when you stop to think about them, actually raw and vegan? Share your ideas in the comments below. That Collard “Sushi” and everything looks like great summer options. Congrats on finishing physics!! Woot! I never tried a fruity guac before but this now on my list of new things to try this summer. It all looks great. Congrats on finishing your first semester of physics, Gena! 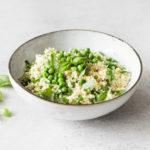 Aren’t we lucky to get so many recipes in one post?! Beautiful, I especially love the mock tuna (any excuse to get more pickles in my diet..). 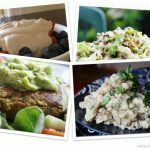 Mmm these are great ideas for easy raw dinners! Definitely going to be testing tem out. I especially want to try the fruity guacomole. It’s a favorite in our household and would be nice to have a new way to enjoy it. That guacamole looks and sounds unreal! I too am intrigued by fruity guacamole- MUST MAKE NOW. I never thought of making a fruity guacamole! Seeing as pregnant me cannot tolerate garlic or onions or spices or…flavor, having a sweet, avocado-y option makes me so happy! The fruity guacamole sounds amazing! I would have never thought to put avocado and fruit together but it sounds like an awesome combination! mmm love the “tuna” salad! looks delicious! I’m a huge fan of that succotash recipe. I should whip up some of that for lunch this week! Woooo congrats on being done with physics! You deserve a medal, a truckload of that vitamix ice cream you make, and a million other things 🙂 We’ll have to do coffee soon to celebrate! Mmm, I love sunflower tuna – and butter lettuce is absolutely heavenly, and one of those things that I need to splurge on more frequently. I’ve never really thought about guacamole-izing other fruits before, which means I should probably do it. 🙂 Thanks for sharing this inspiration! Yummmy Gena! I love all these ideas. Think I;ll be trying the eggplant and cheese rollups. Eggplant is one of my faves!